At school I was involved in sport it was tiring our first sport was shot put it was fun and it worked up my mussels well at lest I was in the top ten the teachers were very kind and supportive some people were hurt the coach was so helpful and he had the spirit he put his trust in us. The next activity was long jump did not do well but I am happy did the activity I ran and landed into the sand pit ya I was sandy and I said to myself " I need to take a bath." after that we had our break my sandwiches were good a friend of mind offered to buy something from tuck. Then we went to high jump some people say it is the wrest I do not I made it throw three rounds I was so surprised and Meghan made it throw four rounds go. we went to our final race the boys went first now the girls go Alley is for the win thumbs up. The University Of Wits Education Campus Hosted a book launch for Stacey on Saturday the 8th of August after her book was officially launched on the 16 of July. Stacey could emerge as the youngest writer in South African History. 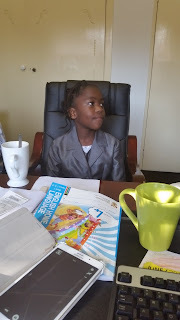 She is a bubbly young Grade 3 Learner who is making her mark. With qualities of a prolific writer, Stacey’s first book ‘Smelly Cats’ was written when she was 7 years old. Now, almost one month after Smelly Cats was first launched, Stacey’s second book went in for editing and is due for publication later this year. She is also writing songs, poems and short stories. Stacey is a young girl with a passion for writing and an amount of literate energy that few children her age will surely possess. She is a motivational speaker who has taken it upon herself to ignite the passion for reading and writing on mankind. Listen to Stacey speak and watch her listen to, interact with and respond to others, then you will understand who exactly she is. This day came and God is really kind. I just can not go to bed without saying Thank You, Thank You, thank you thank you to the university for making my book launch thick. It was a wonderful launch and well attended. see picture on my website or on my This day came and God is really kind. I just can not go to bed without saying Thank You, Thank You, thank you thank you to the university for making my book launch thick. Thank you all. Before the special pictures go out, see these. God is kind. page. Please click her for the full Story. This University is the best. Their trust in me is priceless. so too is their support. I LOVE WITS!!!! Ok I told me mom that I will be studying there in 10 years or so. Teaching or talking, to Grades 1, 2, and 3 learners at St Davids Marists College in Inanda on Rivonia Road in Sandton this morning. The support that I received from everyone was so kind. I hope you all enjoy the copies of Smelly Cats that you bought. For those who did not buy, remember that you can order from my website www.staceyfru.co.za Hugs to you all. You are full of love. You blessed my life. Thank you all. I think boys are cool and your teachers are sweet. The University Of Wits Education Campus will Saturday the 8th of August host a book launch for an author that could emerge as the youngest writer in South African History. Stacey is a bubbly young Grade 3 Learner who is making her mark. With qualities of a prolific writer, Stacey’s first book ‘Smelly Cats’ was written when she was 7 years old. Now, only 3 weeks after Smelly Cats was first launched, on the 16th of July 2015, Stacey’s second book went in for editing and is due for publication later this year. She is also writing songs, poems and short stories. Stacey is a young girl with a passion for writing and an amount of energy that few children her age will surely possess. She is a motivational speaker who has taken it upon herself to ignite the passion for reading and writing on mankind. Listen to Stacey speak and watch her listen to, interact with and respond to others, then you will understand who exactly she is. Hello everyone!!! If you missed it, here is the story. we got a link to the story for your reading enjoyment. I'm excited because this is the first news article on me. Please read and give us your thinking. We could not get the story on the Saturday Star. An 8-year old called Stacey Fru has written a book. Her book is titled “Smelly Cats”. This book is about two cats who are cousins. It portrays the common challenges of different socio-economics, academic and religious backgrounds in which the two survived. In this book, Stacey portrays the difference in places where the two cats stay and how this affected their daily lives. Smelly Cats also depicts that even though the cats come from the same family, they have differences in friendship, love, hate, care, economic backgrounds and behaviour due to who they are. As her characters behave both naughty and badly, Stacey tells us the role of school discipline in their lives. My First Post? Oh Wow. The University Of Wits Education Campus will tomorrow Saturday the 8th of August host a book launch for an author that could emerge as the youngest writer in South African History. Stacey is a bubbly young Grade 3 Learner who is making her mark. With qualities of a prolific writer, Stacey’s first book ‘Smelly Cats’ was written when she was 7 years old. Now, only 3 weeks after Smelly Cats was first launched, on the 16th of July 2015, Stacey’s second book went in for editing and is due for publication later this year. She is also writing songs, poems and short stories.